Members & guests–free. This program is now wait list only. To be added to the wait list, please call the Village office at 773.248.8700. Alzheimer’s disease doesn’t just affect the person with the diagnosis, it affects the entire family & everyone involved in their care. Learning how to connect on an emotional level, throughout the myriad behavioral changes and relationship challenges, will benefit not only the loved one with Alzheimer’s, but the family and care partners, as well. Physician, mental health counselor and author, Dr. Edward G. Shaw will share a number of strategies to minimize barriers in relationships that can erode the emotional bond between the person with dementia and their family and care partners. 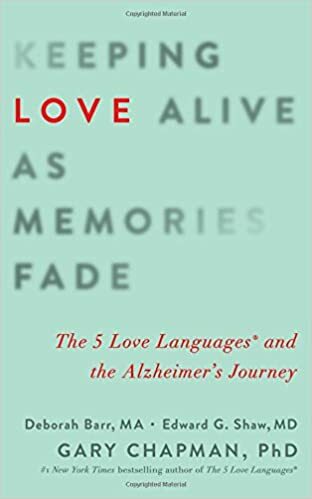 Dr. Shaw is the co-author of Keeping Love Alive as Memories Fade: The 5 Love Languages and the Alzheimer’s Journey. Copies of this book will be available for purchase at the event.